For nearly 100 years the historic Bears Inn has been a prominent feature of the Marshdale Park area in Evergreen, Co. Since 1928 Bears Inn B & B has hosted guests of all kinds – sharing experiences and creating memories! Bears Inn is formerly part of the Marshdale Lodge Resort, and holds the distinction as Evergreen’s oldest resort with continuous guest operations. The dream of Bears Inn became apparent when Dr. Wilbur Marsh, a successful Denver dentist, purchased the 165 acres from a patient. On his newly acquired property he began construction of The Bistro at Marshdale, a splendid restaurant that is still flourishing today, and shortly there after started working on the Inn. 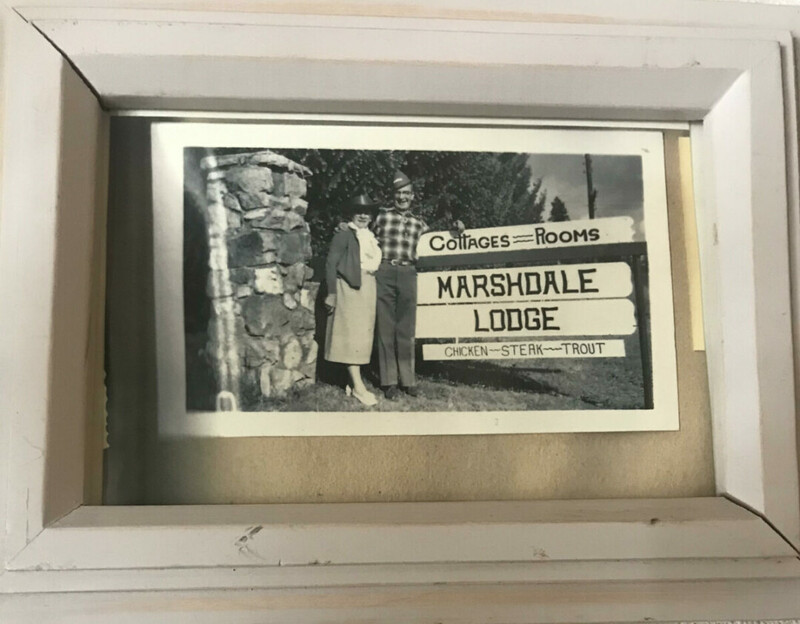 The B&B quickly gained attention by advertising attractions such as horseback riding, fishing, badminton, hiking, picnicking and golf, in addition to hosting events such as themed murder mystery nights which we were later recognized for in The Denver Post. Dating back to the first years of operation, the atmosphere of the Inn was intended to be as unique as the guests that stay here; each room has it’s own theme and experience! While renovations have been made over the years, the character of the Inn still holds so much charm and charisma, combining original features with updated amenities. To get a first hand insight on the history of the Inn, read through some of the remaining hand written guest logs with entries dating back 30+ years! Sound interesting? Become a piece of our history during your stay and write about your experience for future Bears Inn residents to explore! Located in Beautiful Evergreen, Co. We love to create an incredible experience for our guests and hope you’ll come and stay with us! Bears and Honey, the Perfect Combination! Breakfast is what we do best!